It’s always interesting to learn about the various wedding destinations and venues throughout the world. We spoke with the team at Bar Harbor Catering Company to learn more about what it’s like to plan and host a Maine wedding! Did you know that Maine is one of the most sought-after wedding destinations in the US? There’s a plethora of charming venues, historic hotels and, of course, idyllic settings, and one location in particular that calls to many is Mount Desert Island in Downeast Maine. MDI, as it’s known to anyone who has visited at least once, is the largest island off the coast of Maine with an area of 108 square miles. It’s the second-largest island on the Eastern seaboard with approximately 11,000 residents calling it home year-round. 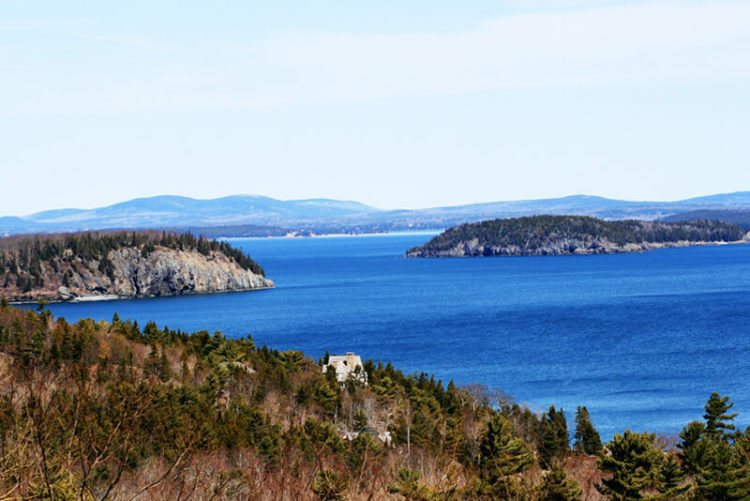 One of the biggest draws for visitors is Acadia National Park, which had more than three million visitors last year, with even more projected to pass through this year. Many flock to the summit of Cadillac Mountain to be the first in the United States to see the sunrise. Others escape here to feed their creative souls, painting and writing and creating other works of art that just needed a little inspiration. And, many come here to plan an epic wedding. At Bar Harbor Catering Company, there’s no question that we’re seeing a significant increase in the number of destination weddings and other types of events. It’s an interesting shift as Mount Desert Island continues to evolve into a year-round community for business, tourism, and, of course, weddings. The busy event season used to be July and August, but our season now starts in May and goes through October and many of the clients we work with are “from away.” Many make the drive from Massachusetts, but we’re also working with clients from New York, D.C, North Carolina, Florida, and even as far as Los Angeles. Whenever we tell someone outside of the catering and event planning industry that many of the weddings we book are destination weddings, we’re often met with confusion and, sometimes, disbelief. Isn’t the definition of a destination wedding a tropical beach, barefoot bride, and palm trees? The idea of what’s “traditional” has changed. People are seeking a different kind of experience, often to match the fact that the “normal” or “expected” type of wedding just isn’t the go-to style anymore. The times are a changing and the new normal is to be a bit different. And, many of our events are definitely veering toward the new normal. Think full weekend celebrations instead of just one day, brides walking themselves down the aisle, ceremonies on coastal cliffs instead of inside churches, specialty food stations instead of a sit down plated meal, family or friends officiating, more blueberries than fondant on the cake, no bridal party, and couples departing on a lobster boat instead of a limo. For anyone planning a wedding or major event, one of the most alluring qualities of this place we get to call home is the beautiful backdrops. The evergreen forests hugging the cragged shores, the fields full of lupines that, at night, dance beneath one of the darkest night skies you’ll ever see, and the way the sea, lakes, rivers, streams, mountains, and wide open spaces all come together in one place. It’s simply magical. 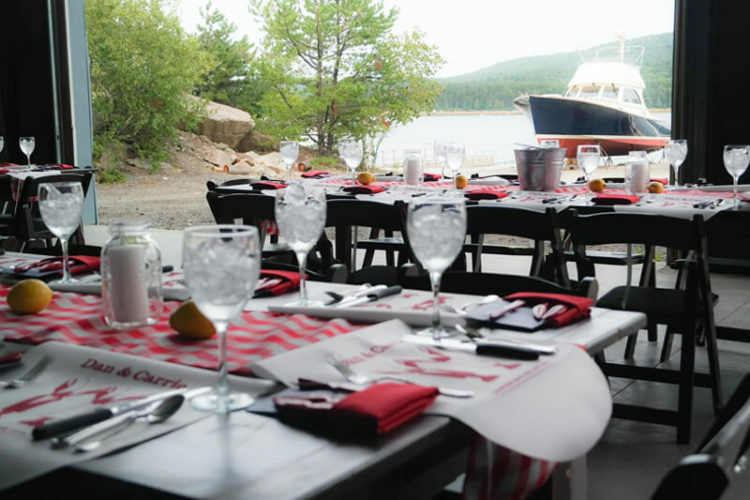 The natural, authentic rugged elegance of Maine is one of Bar Harbor Catering Company’s specialties. 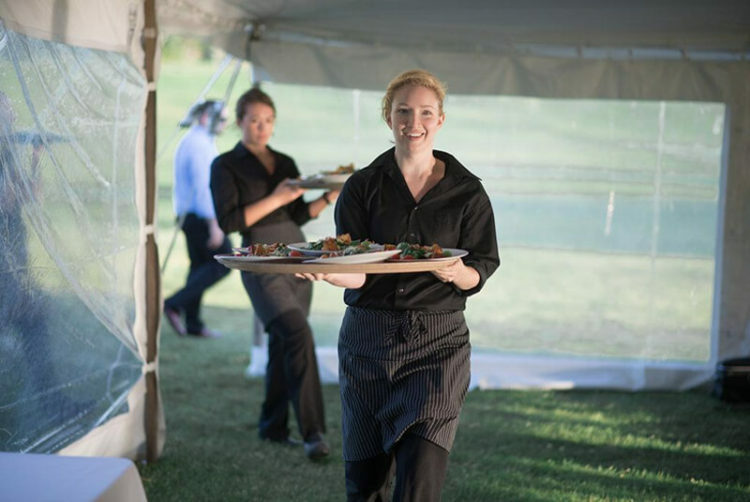 Our mission is to produce extraordinary events with legendary customer service and modern Maine cuisine, created by happy people. We know that planning a wedding close to home can be a taxing part-time job, and planning one from afar, often from halfway across the country or more, can have you contemplating a courthouse elopement before you’ve booked your first vendor. Envision your event. Literally, close your eyes and try to picture your wedding. What do you see? Smell? Hear? How many people are there? What are you wearing? Eating? Create a vision board based on your inspirations. Budget. 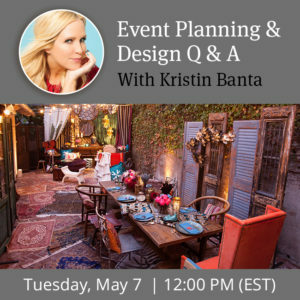 After envisioning your event, write down all the pieces that are must-haves and try to allocate a cost to all of them, ideally coming up with an idea of your overall budget. Map it out. Head to Google Maps or, better yet, buy an iconic Maine Delorme Atlas and Gazetteer and pick your Downeast spot. You might already have a favorite place in mind, but if not, pore over the map and figure out what’ll be best for you and your guests. If guests will be flying in, Bangor International Airport is only an hour from MDI, and there’s also the Hancock County-Bar Harbor Airport, which is smaller but closer to the island. Maine is called Vacationland for a reason. We’ve found that with very rare exceptions, RSVP rates for Downeast Maine weddings can be 80-90% or higher! Plan early and visit. Once you’ve figured out where, identify a few venues and vendors, and come visit for a long weekend. Even better would be to also identify a couple of planners in the area and set-up in-person visits. An initial phone interview with a potential planner is a great idea, but a face-to-face visit will really see whether you connect and have some chemistry. A planner will take on a lot of the planning pressure and give you the inside scoop, while also managing the logistics locally while you’re finalizing details where you are. And, don’t forget to check references! Thanks to many of the weddings we’ve worked, we’ve spent a lot of time tweaking and fine-tuning our business plan, strategies, and offerings to better accommodate our clients. 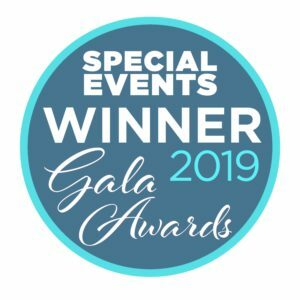 We’ve learned from every single event we’ve planned and catered and this has, in turn, helped us adjust how we do our jobs. For example, we use Asana to manage all our projects and to-do lists. 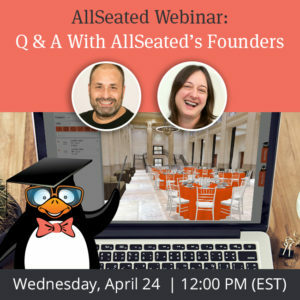 And, we implemented AllSeated last year which has made our lives exceptionally better and even more importantly, it has upped our game with our clients. Being able to present professional floorplans and designs and dd to the wow factor that we pride ourselves on providing to each and every client we work with! We’d love to chat more about any questions you might have about planning a Maine wedding! Check out our website or drop us a note anytime. Cheers!